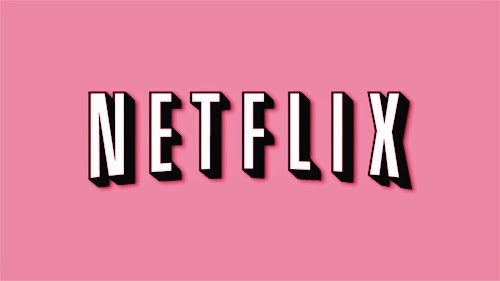 Wow it's monthly favorites time again! Doesn't feel that long since I wrote my last one! Crazy! 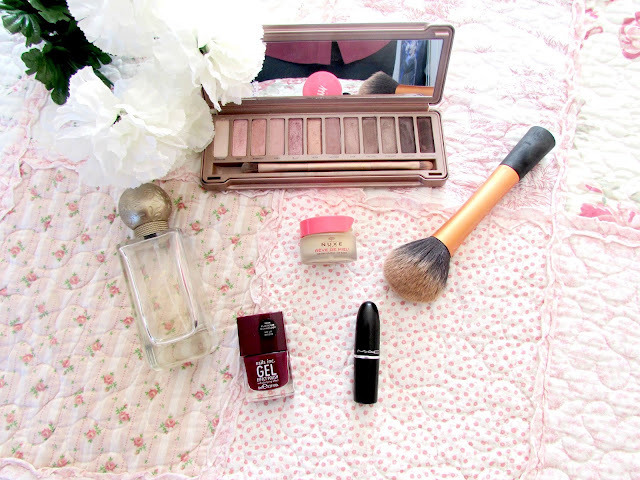 As you can see from the title of this post I've decided to combine both beauty and non-beauty favorites in this post as I didn't go out too much and I didn't really tend to shop much this month which is very unusual for me. There are a few things in the non-beauty favorites that I wasn't able to photograph either so bear with me whilst I try and do my best to describe them for you. Now that the ramble is over let me get back to the point of this post which will be a long one so grab a cuppa and enjoy! Naked 3 Palette: I go through stages of loving and hating this palette for some reason. Sometimes I absolutely love the looks you can create from this and then other times I get really frustrating and I'm just not keen however this month I have obviously been loving it. My favorite color to wear from the palette has been Buzz which I find is a gorgeous rose gold shade. I think it is so pretty and really compliments my skin tone and I find it's a shade I can wear no matter what I'm doing or where I'm going. I also find that the shadows are really buttery and easy to work with from this palette. It's just perfect. Nuxe Rev De Miel Lipbalm: This month I have had such incredibly dry lips. I have been very dehydrated this month and I have also been suffering from a really bad cold so the past few days my lips have been really flakey and horrible. This little pot has made that all better though. This is such an incredible lipbalm. I apply it before I go to bed and in the morning when I wake up and it's just kept my lips dry all day. I also love the honey scent to it as well. If you haven't tried this yet I'd highly recommend it. It'll be a godsend this winter. Real Techniques Powder Brush: First of all I'm sorry for the state of my brush in the photo. I literally took these photos in the morning just after I had done my make up so I didn't really had time to wash it. This was one of the only brushes from Real Techniques that I hadn't actually tried yet. I know, I know where have I been...however I absolutely love it. I love how fluffy it is and how it covers your face and just feels really soft as you are applying powder. It took me a while to get used to the size of the brush as I'm used to the slightly smaller sizes however I absolutely love it and definitely makes the process a lot quicker in the morning. 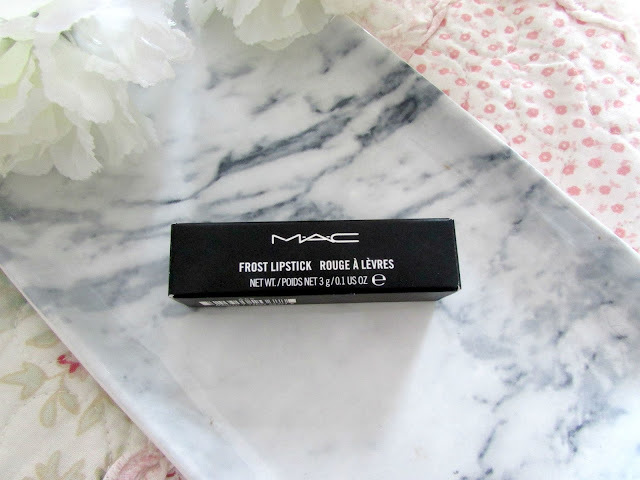 MAC's New York Apple Lipstick: I did a review of this lipstick the other day which you can find HERE so I won't go into it too much. I will say though that this lipstick is so incredibly moisturizing, has great color pay off, is long lasting and will suit most skin tones as well. I also love the deep pinky burgundy shade as I think it's perfect for this time of year. It's definitely not a lipstick I see mentioned a lot in MAC collection videos or blog posts but I would definitely highly recommend it. Nails Inc 'Kensington High Street' Nail Polish: Oh looky here, another burgundy product. Oops. I told you I'm a tad obsessed with this color for the autumn. I'm currently sitting in a burgundy shirt and shoes from New Look too. When it comes to my nails I have an awful habit of being a nail biter. It's not good at all however this shade has made me want to grow them and have pretty nails. I'm quite restricted with what colors I can wear on my nails thanks to my job however this is just the right color so I'll definitely be wearing this non-stop throughout the autumn/winter season. 'Per Una Opulence' Perfume: I've been obsessed with perfumes and scents recently and this perfume is actually a perfume my Mum uses but I just love the scent so much. It's so fruity and floral and pretty and the scent lasts all day. I don't really know how else to describe it really but it's a really beautiful fragrance. The 'I Can't Sleep' Coloring Book: One of my favorite things to do in life is to color and draw pictures even though I'm useless at drawing. I just find it so therapeutic and I was particularly drawn to this one after seeing the lovely Jess over at Coppergarden mention it in a recent favorites video. As someone who suffers with insomnia quite badly I'm always on the look out for things to help relax me more and I've found it definitely helps. I love making things look pretty and hey, you're never to old to color! Journal: Another favorite thing to do is write in my journal. I've kept a journal since I was very young and I will admit occasionally I go through stages of not writing in anything at all and then I just write down everything I'm thinking and feeling and also document everything amazing that happens to me. It's just such a special thing to do and I love reading back on it when I feel sad as it always reminds me that my life is pretty damn amazing and even though I moan I'm extremely lucky. Forgive the sappiness but it's true! 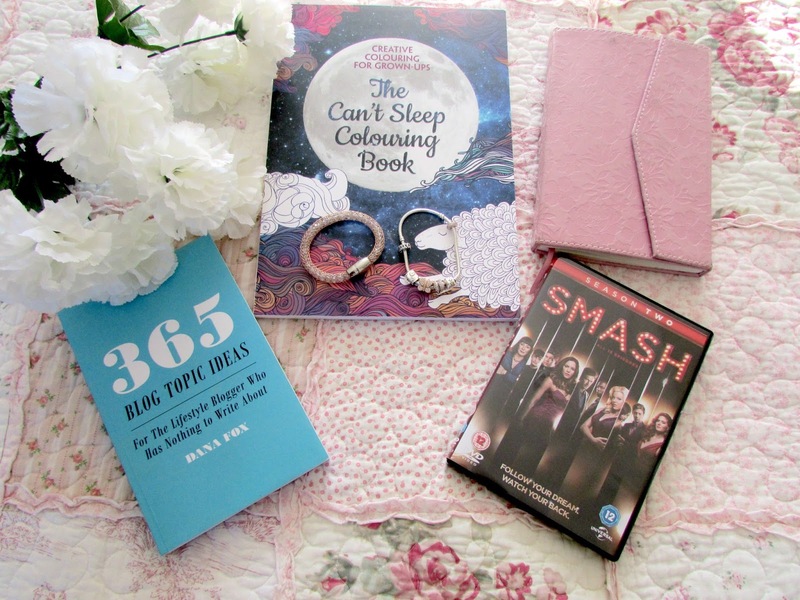 365 Blog Topic Ideas by Dana Fox: It's no secret that things are slowing down on my blog at the moment due to the fact I have a new job and recently when I've had days off or evenings off when I do want to blog I've just felt so unmotivated. If that makes sense. Like I really want to type up a post but then I lose all motivation or I don't know how to word it and it's not something I really want to force so I've just been leaving it. However this book has been a godsend the past few days as I've got my motivation and love for blogging back and I'm super happy with the content I've produced lately even though it might seem a bit samey. If you haven't got this book and suffer with bloggers block I'd highly recommend it. There's a blog post idea for every day of the year! You're pretty much sorted! Gold Mesh Bracelet & Pandora Rose Gold Charms: I turned 24 a month ago and unfortunately my parents were not at home so I didn't get to see them on my birthday as they were on holiday in France. However when they came back they gave me this beautiful gold mesh bracelet which is just stunning. The gold mesh covers these little crystals and it just looks stunning when the light shines on them. I've been wearing them non-stop. Recently I decided to treat myself to some rose gold charms for my pandora bracelet and I've literally been in love. I absolutely love them. I'm planning on treating myself to a ring when payday comes around but the rose gold charms are just so incredible beautiful. I got the little rose gold butterfly and its just so incredibly beautiful and sparkly. 'Smash' The TV Series: If you love musical theatre and singing then you will love this TV show. I absolutely love it. It basically follows the lives of a group of people trying to make it in to the musical theatre industry and what it takes to put on a show and get it to broadway. It's incredibly eye opening and really inspirational and I just love it. The music in it is just stunning and the talent on this show is just incredible. I'd highly recommend it. There are only two seasons as sadly it got cancelled but I love it! 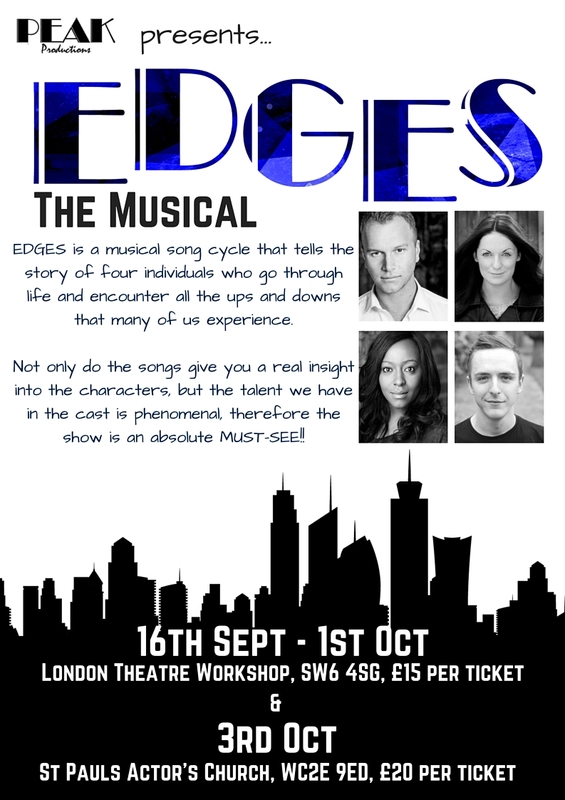 Edges The Musical: It's no secret that I'm a musical theatre fan so when I found out 1/5 of the musical theatre boy band Collabro had started his on productions company to put on a show for three weeks I was instantly intrigued. I absolutely love this show. I've seen it twice already and I just can't get the songs out of my head. It's an amazing show. It's ending it's three week run this Saturday which saddens me as I absolutely love it and the talent is just incredible. I am however going to see it two more times. I'm not obsessed or anything I promise. Phew, that was a long post. Definitely longer than I thought it would be but I love reading posts like this and I know other people to. I think it's a great way to find out about someone and also discover new products and items you probably wouldn't consider otherwise so I hope you all enjoyed this. 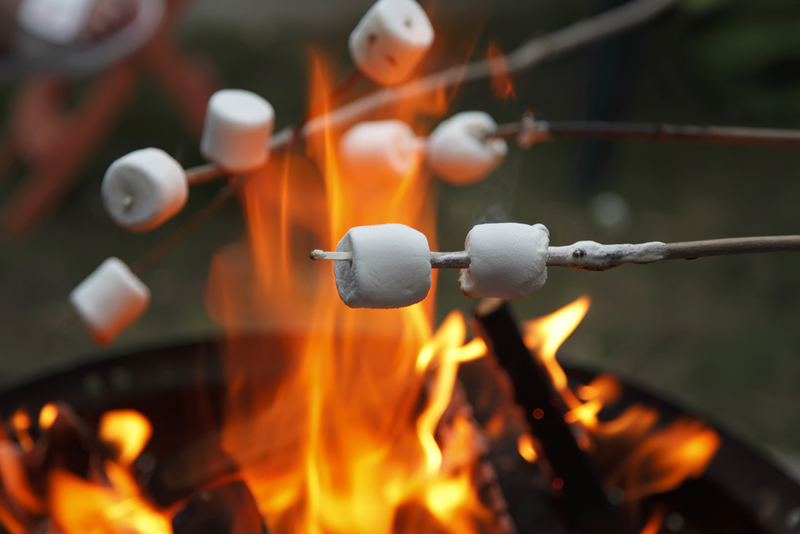 Let me know in the comments below if there's anything in this list that you love too! I love finding out I've something in common with people! 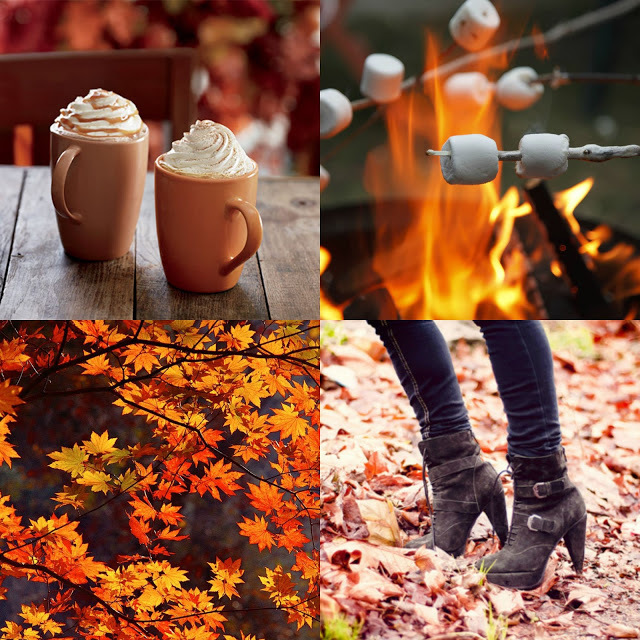 What are your favorites of this month? Hey Everyone! 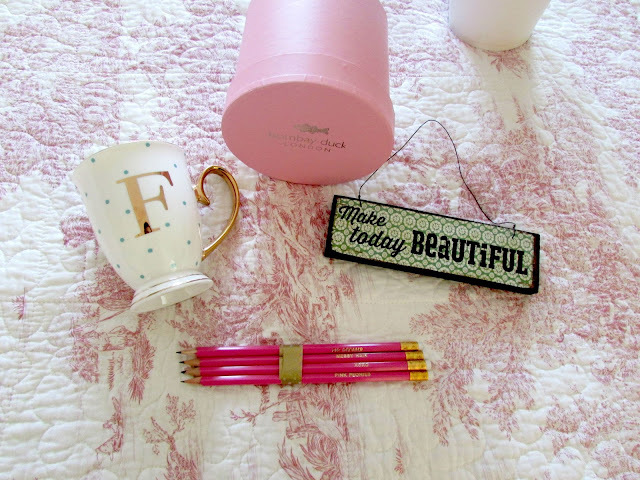 Today I thought I would do another little home haul on a really lovely brand I discovered a while ago called Lily Rose Co. I came across this brand through the lovely Corrie from DizzyBrunette who also did a haul on their products and I just absolutely loved how cute and adorable everything was but every time I went on there everything I wanted seemed to be out of stock. However I finally managed to log on and get everything I wanted which I was so pleased with. Keep reading to find out more. The first thing I bought was this adorable White and Blue Polka Dot Mug. I absolutely love this mug however it's not the sort of mug that I would actually use to drink in. I think it will look so lovely and classy on my desk. 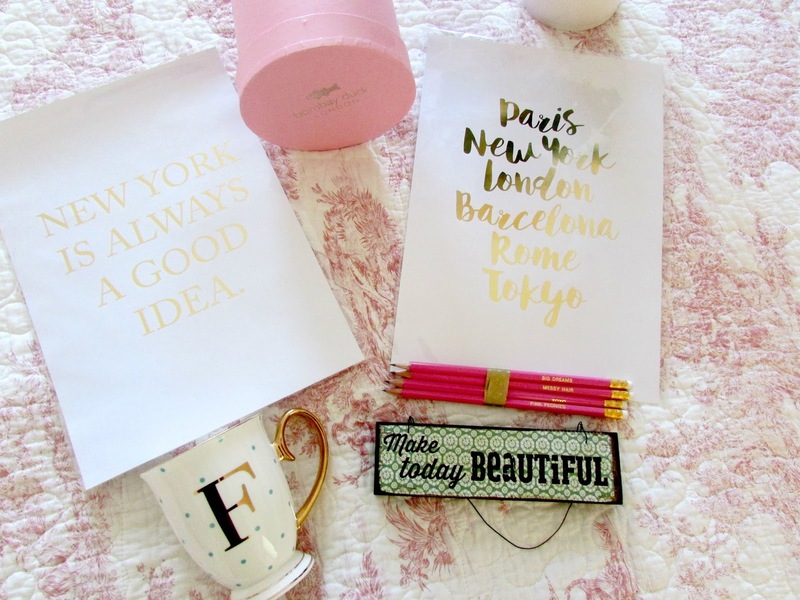 I also love the gold handle and the gold F which is obviously for Fleur as I just think it looks so classy and pretty. The mug was only £9.20. The next thing I got was these Pink Peonies and Big Dreams Set Of Pencils. Being a blogger and someone who likes to write lists and keep a journal having pens and pencils is always a must to have near by. 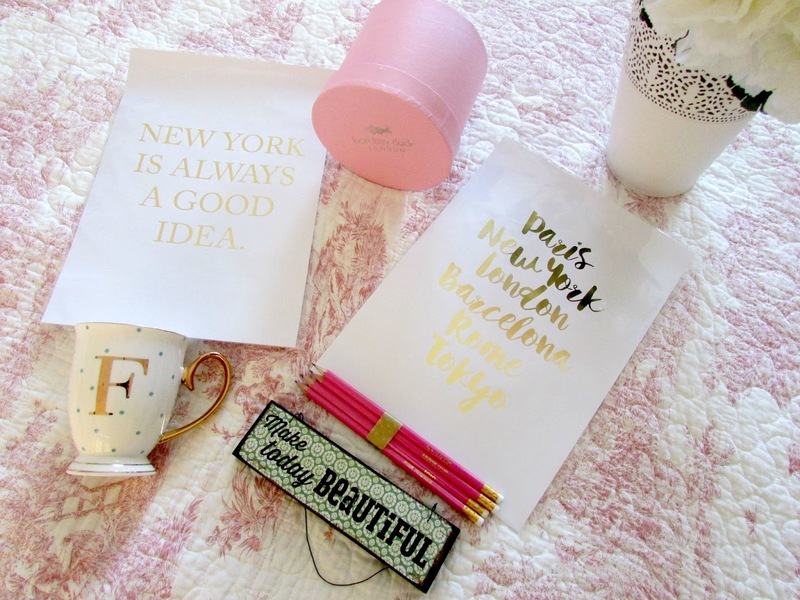 I think these look so pretty and I love the gold foil writing on the sides of the pencils which just make them so cute and classy. These pencils were only £5 for a set of four which I know some people will consider pricey for some pencils but I just thought they were so cute and I just couldn't resist. The next thing I go was this 'Make Today Beautiful' Hanging Sign*. This product was actually sent to me as a little extra because they forgot to include one of the prints that I ordered at first which I thought was so lovely of them to add that something extra and this is so me. If you have seen my room tour posts then you will know I have a lot of these hanging signs around my room that just give me that added bit of positivity in the morning or throughout my day if I am just feeling a little bit down. I just love it and I'm so grateful to Lily Rose Co for being so thoughtful with a mistake they unintentionally made. I absolutely love having prints in my room and I've recently decided to revamp my desk and work area to have a few prints on it so I decided to order these two gorgeous prints. If you've been following me on twitter or know me in real life then you will know just how much I love New York and travelling in general. I mean I studied tourism for six years and now work for one of the biggest travel companies in the world so to have something on my desk that reminds of that and increases my wonderlust is definitely something that will make me happy! Both of these prints are £9.00 each and you can find them in the prints section HERE. Now all I have to do is fine a frame to put them in. 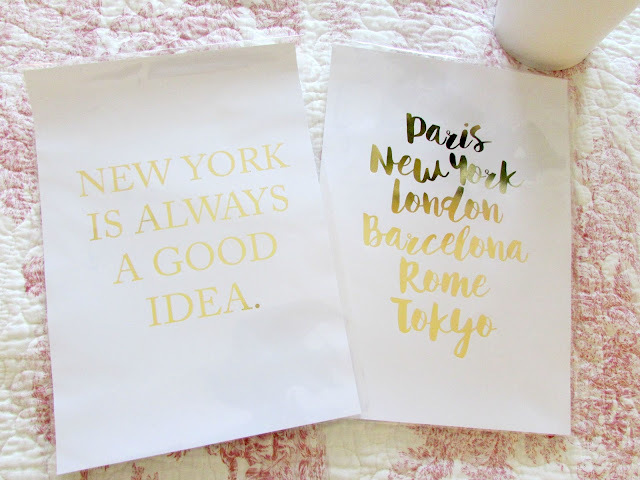 Lily Rose Co are an amazing company that do so many different homeware bits and pieces and it's definitely a great place to go if you are looking for gifts for your friends and family. I would highly recommend it. Their customer service is incredible and they products are extremely good quality and reasonably priced too. I would highly recommend it to all of you looking to spruce up your rooms especially if you are at uni or heading off to uni soon! Let me know in the comments if you know of any other homeware online stores like this as I always love a good home shopping spree. Have you bought anything from Lily Rose Co before? Hey everyone! Hope you are all well and are excited for the weekend ahead! 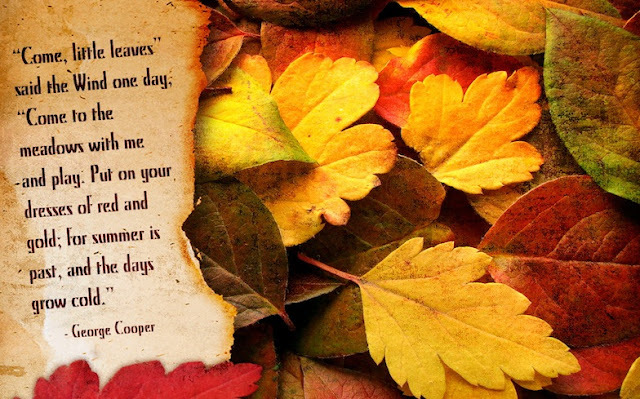 I cannot believe it's coming up towards the end of September. Where is this year going?! I now have a week off work which is absolutely lovely as I haven't really had any time off since I had training in June! It's been crazy and I've so much overtime that I decided this month I would book some time off and have a bit of a break. I think I deserve it. I also think this is the perfect time to get some blog posts written for you all as I have been really awful with it however thank you all for your comments and tweets about my blog. I really appreciate it. Now to get back into the point of this post! When I started this blog almost three years ago now, I remember the one brand that I would constantly see being talked about was MAC. Whether it was foundations, powders or lipsticks there wasn't a post I would read where MAC wasn't mentioned. As I was unemployed at the time I used to sit there and silently cry (not really) at the fact I couldn't afford them. However now that I have a bit more money coming in every month I can afford to splurge on a few products here and there. 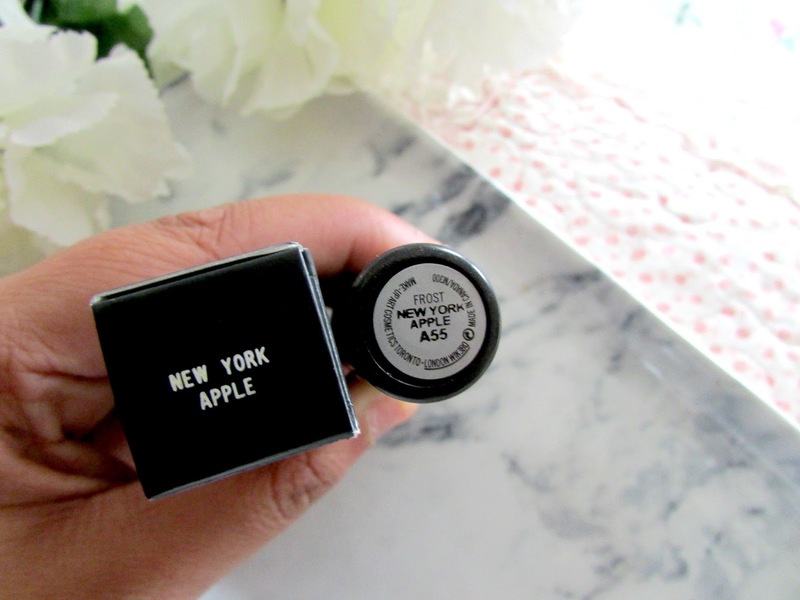 One lipstick that I had my beady eye on for a while was New York Apple. I had a bit of free time at work one day and decided to wonder to the MAC stall in duty free and just browse the lipsticks but I knew I wanted this shade and the girls were absolutely lovely which is a rarity in MAC stores so I had no hesitation in purchasing New York Apple. I absolutely adore the color and I think it is the perfect shade for Autumn/Winter. Keep reading to find out more. New York Apple is a frost finish lipstick which I absolutely love. This is basically a frost like shimmer effect once it has been applied to the lips. I didn't think I would like it as I have seen other frost finish lipsticks and I haven't been overly keen on how they look but I've found this one to be just right. One thing I was super excited about when purchasing this lipstick was the packaging. I absolutely love the packaging of MAC lipsticks. 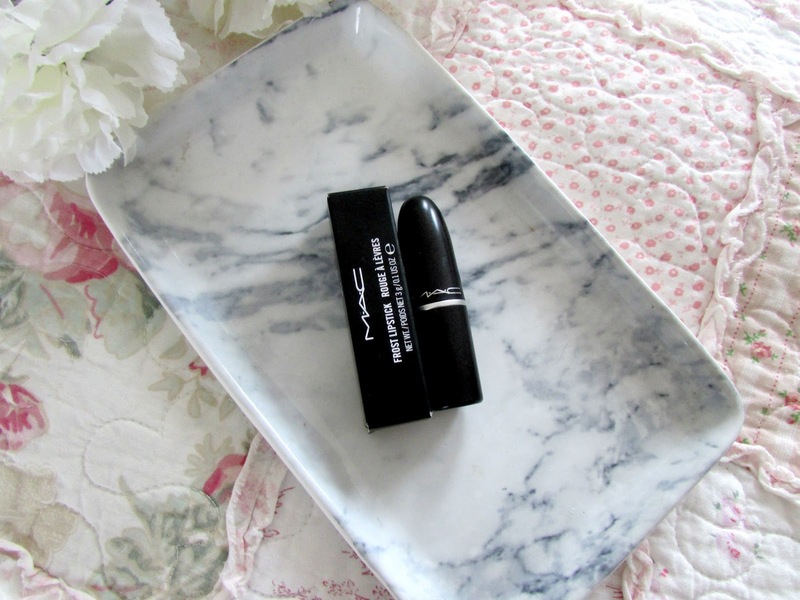 I find the black and silver combined, although extremely simple, just makes the lipstick appear that little bit more luxurious on my dressing table or in my make up bag. 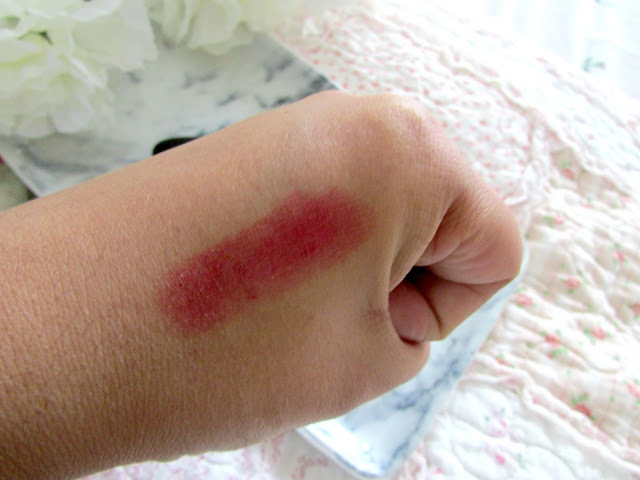 When it comes to the texture of the lipstick it's definitely something I was very impressed with. I find that it is very creamy which is what I love in lip products. I think it's super easy to apply but doesn't make it that slippery which is always a worry of mine when it comes to lipsticks. I love how moisturizing this feels on the lips too. It definitely reminds me of the Revlon lip butters which happen to be some of my all time favorite lip products. Also if you hate sticky lipsticks then do not worry as this is just incredible and definitely doesn't make your lips sticky which to me is definitely an added bonus. I find that this product also lasts quite a long time on the lips as well. I love the pink tint it leaves on the lips before you need to reapply it as it doesn't disappear completely which is definitely a bonus point as when I'm at work I definitely do not have time to keep touching up my make up so I love the fact my lips are always tinted a little bit. 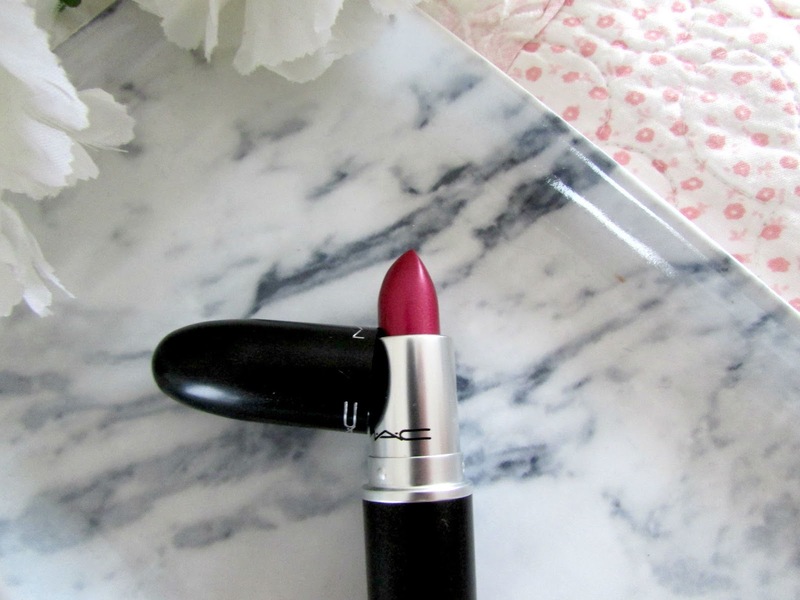 If you're looking for a perfect autumn lipstick I'd highly recommend this shade. Overall I absolutely love this lipstick. I think the color is just beautiful, the lasting power is amazing, it's moisturizing and I love that it doesn't feel that heavy on the lips too which can be the case with some lipsticks. If you are looking for your first MAC lipstick that's perfect for the autumn/winter months I would highly recommend New York Apple as it's a shade that suits all skin tones and just the perfect color. Have you used New York Apple before? What are your favorite lipsticks for Autumn/Winter? Hey Everyone! Hope you are all okay! 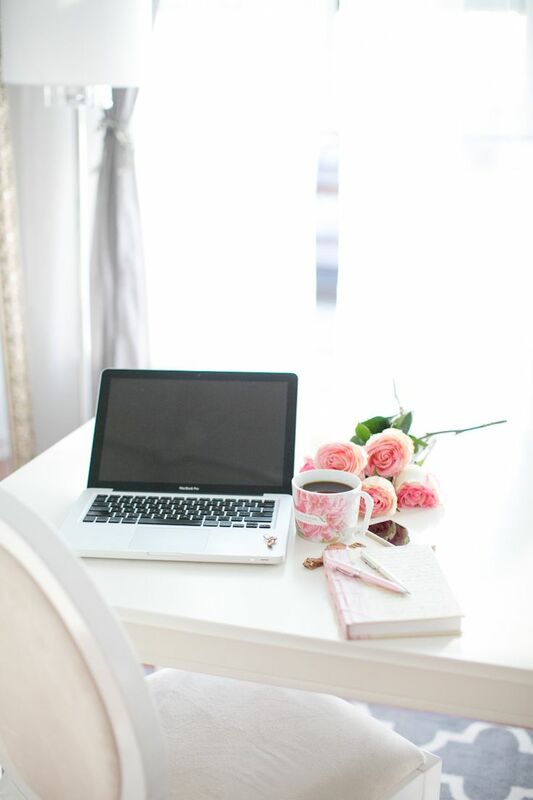 I writing this post from my brand new laptop which I am loving! I've managed to get so much blogging today so make sure to keep an eye out for posts that will be heading your way in the next couple of weeks. Today however I wanted to inform you of a new social media addition that can make it easier for all of you to find this blog. Keep reading to find out more. If you have followed me for a while then you will know I am always blogging on here and always on twitter. Twitter is where I can share my blog with like minded people who won't judge me even though let's face it the minute you put yourself online you are judged but that's okay! Facebook used to be a place where I shared everything. I was a tad obsessed I admit it. Oops, however since starting my blog I've never really been on there. I've never shared any posts and only a few close friends know about my blog because I've been too worried about what other people think which I think looking back is a bit silly. I will always care about what people think of me. It's something I cannot help unfortunately, however I want to stop hiding things and be a little more open about what I'm passionate about and I think facebook would be the perfect way to do that. I've been debating for a while now about whether or not to set up a facebook page for my blog and I just thought today to just go for it! I know there's a lot of people who read my blog who perhaps don't have bloglovin' or twitter so find it hard to keep up to date with blogs. I know the majority have facebook so I thought this would be a perfect way for other people to just keep up to date with my posts. I won't make this post too long but the reasons above are why I decided to set up a facebook page and I would be so so grateful if you could head on over there and support me and my blog. 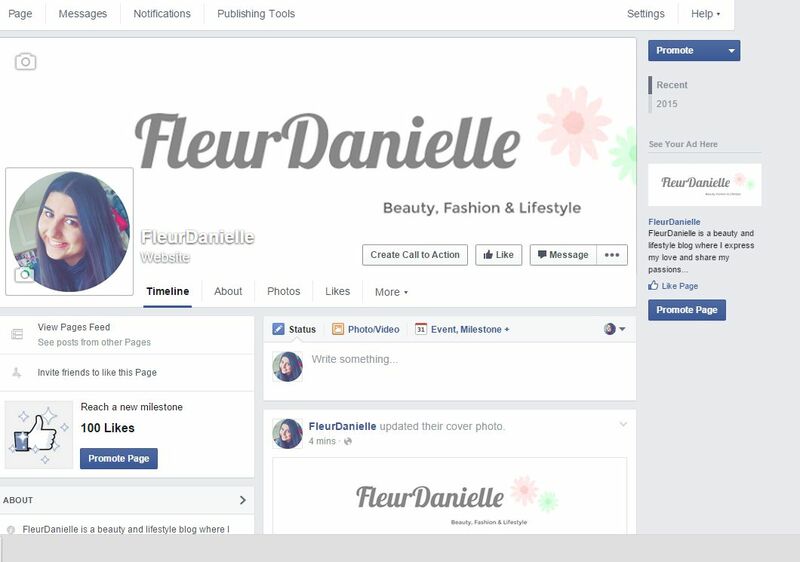 The link is https://www.facebook.com/fleurdanielle24 and I'll start posting on there practically straight away so be sure to head on over and give it a quick like! If you have a facebook page for your own blog be sure to link it in the comments below and I'll head on over and support you too as I think it's such an easy way to keep up to date with blogs. What do you think about Facebook pages for blogs?